So, when I finally visited Scotland’s capital last weekend, I found myself armed with a notebook full of my friends’ recommendations and ready to soak up as much of the city as I could and report it back to you! 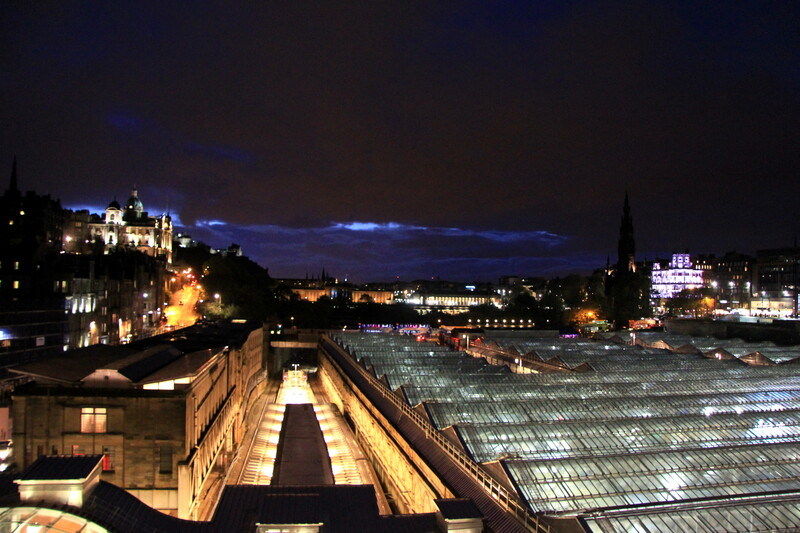 Edinburgh is the UK’s second most popular tourist destination. 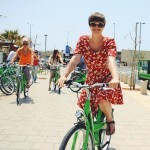 Naturally it offers a huge variety of accommodation which fits any possible budget. If you want to treat yourself to a fancy weekend away from the bustling touristic city center take your backpack across New Town to bohemian Stockbridge and check into Nira Caledonia. Nira Caledonia is owned by the Nira Hotels & Resorts groud which runs sister hotels in Switzerland and Mauritius and part of the Small Luxury Hotels Worldwide network. 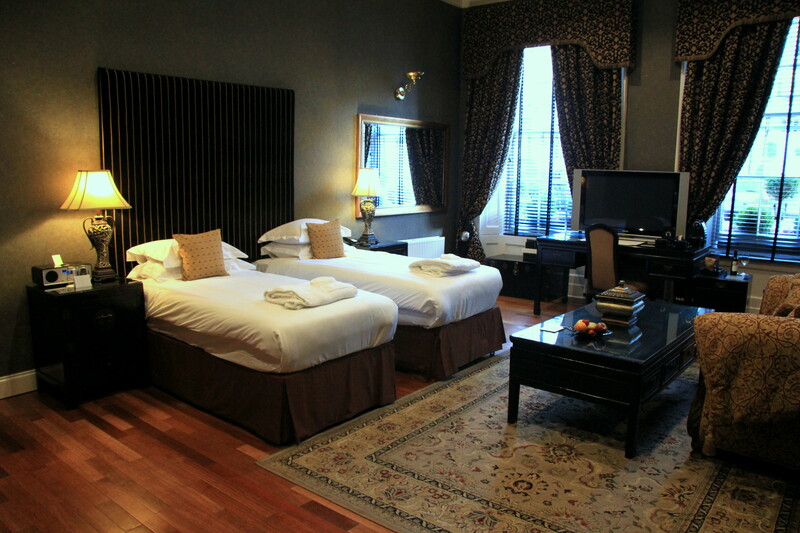 The hotel is situated in two 19th century townhouses tucked away in the cobbled labyrinth of winding lanes and crescents. It was refurbished and reopened in January 2012. The hotel offers 28 unique suites combining Gregorian period and contemporary furnishing with bold golden accents. The rooms on the upper floors offer great views over the Botanical Gardens, ground floor rooms come with a private garden terrace or a view onto picturesque Gloucester Place. In addition to the regular rooms there are also four Jacuzzi suites for even more luxury. The general ambience of the interior is rather pompous, but the rooms come with modern features like iPod docking stations and Nespresso machines – important for a caffeine-addicted Travelette with good taste in music like me! Blackwood’s is Nira Caledonia’s romatic restaurant operated since the beginning of this year. 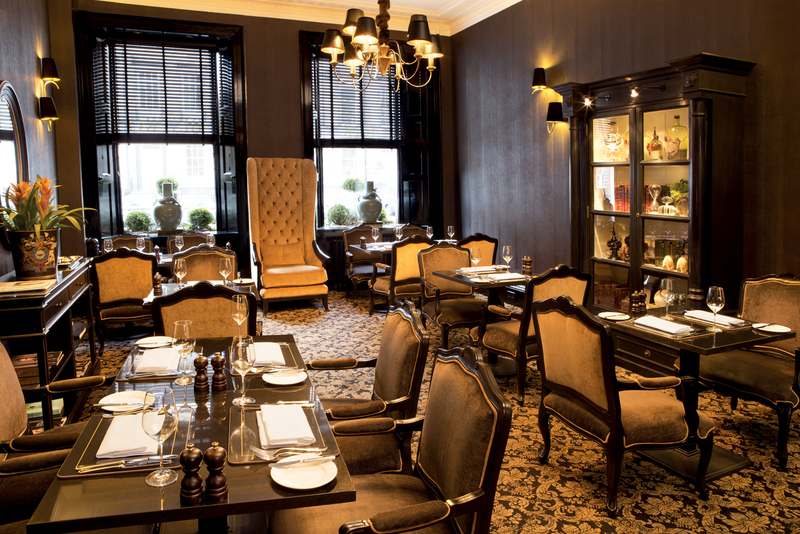 Its chef uses fresh organic produce to create Scottish specialities with a twist. Every ingredient is either farmed, caught, raised or bred in Scotland and comes from as close to Edinburgh as possible. The restaurant is one of the city’s few to cook with a Josper Grill – a special charcoal grill with very high temperature which ensures that the flavours remain intact. To get an overview of the chef’s creativity and the selection of wines and Scottish whiskies I highly recommend the winter tasting menu which was introduced in the end of October. 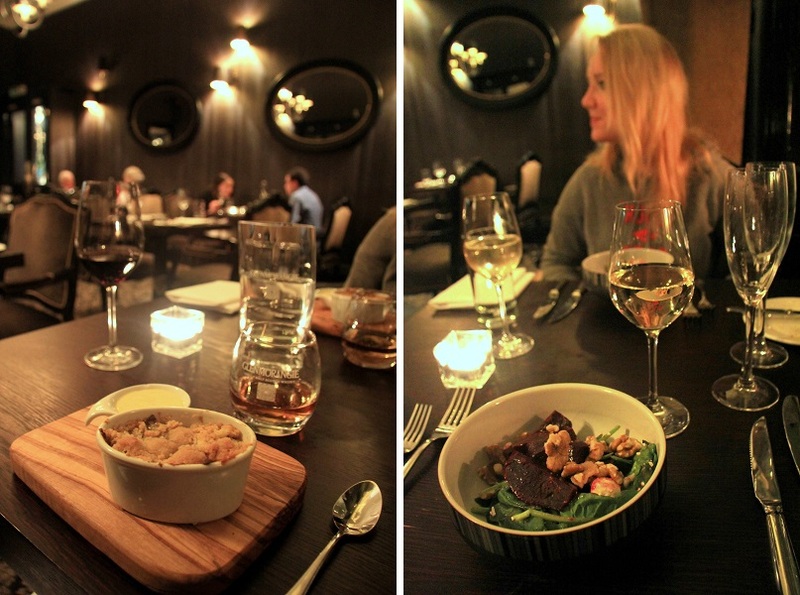 My favourite part of it: Perthshire pheasant with celeriac puree and apple cinnamon crumble for dessert! 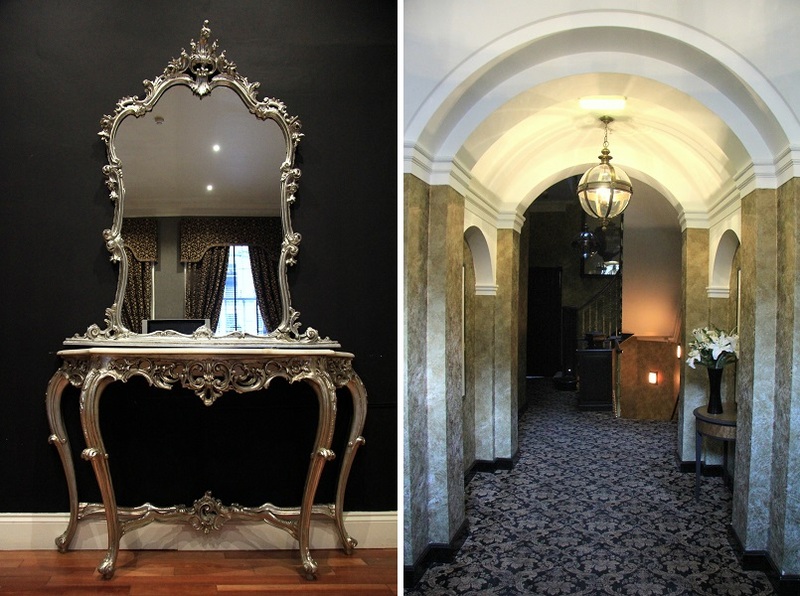 However my favourite fact about the hotel is neither its anique and ornate decor nor its fantastic restaurant, but it’s location in urban Stockbridge. The area along the picturesque riverbank of Leith river is home to hidden away secrets like speciality shops, bars, cafés and charity shops. Every sunday 10am to 5pm locals make their way to the farmer’s market at Jubilee Gardens on Kerr Street. 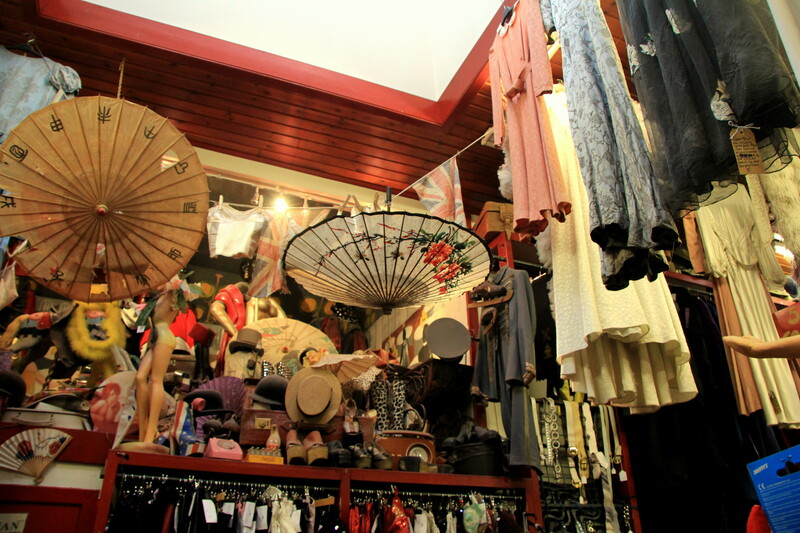 On my stroll through the area I found some of my new favourite vintage stores, breakfast spots and cocktail bars. A city so highly cherished among tourists and travelers alike usually comes with lots to see. Exploring the historical city center belongs to a trip to the medieval town like eating pizza belongs to a trip to Italy – mingling with tourists included. Both, Old and New Town are declared UNESCO World Heritage Site. 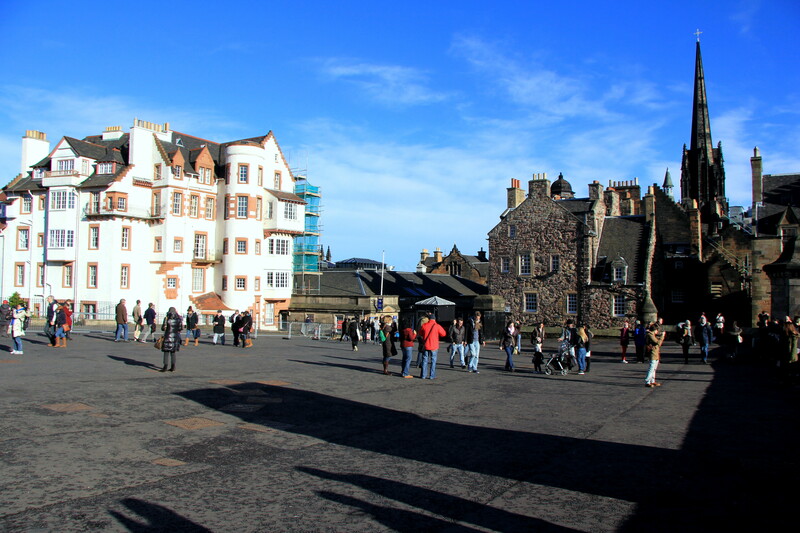 The main attractions in the Old Town are the Castle (which alone can take up an entire afternoon), the main street Royal Mile, the pubs and cafés at Grassmarket and the vaults and wynds (Gaelic for narrow lanes) surrrounding the old town bridges. 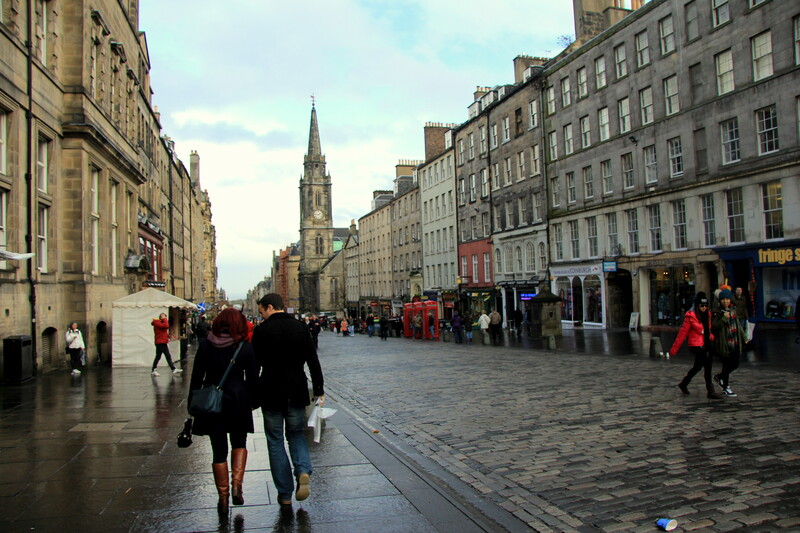 George Street, Rose Street and Queen Street in New Town are the places to get your mainstream shopping done. 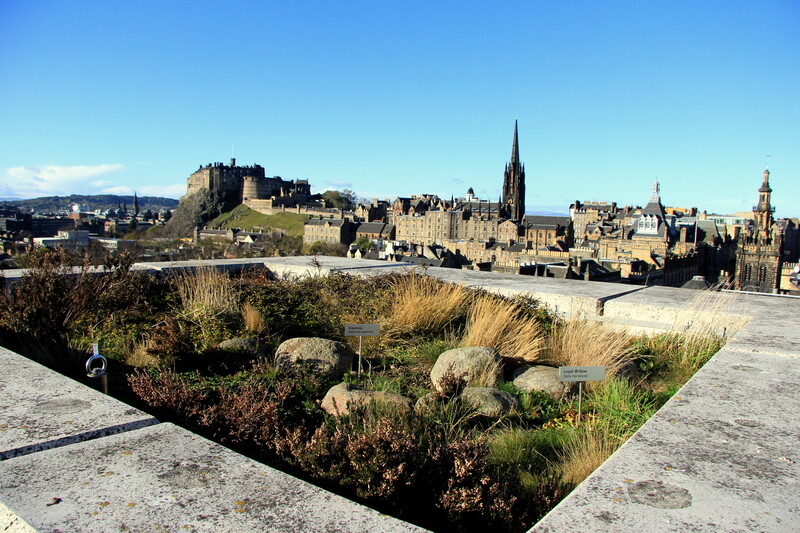 To get a good glimpse at the central “skyline” – due to its long history of high-rising houses Lonely Planet calls Edinburgh the “medieval Manhattan” – get on top the National Museum of Scotland. Entrance of free and an elevator takes you up to the rooftop terrace in the seventh floor! 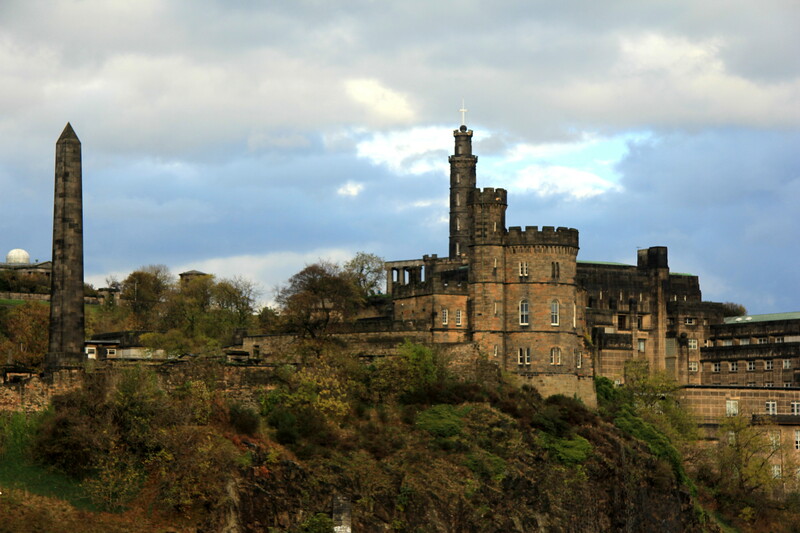 A 10 minute walk out of the city center makes you climb Calton Hill, from where you can again enjoy beautiful views onto the castle and the sea in the other direction or admire the unfinished National Monument and the Nelson Monument. Stockbridge and Leith are the trending areas of Edinburgh not only when it comes to affordable living space close to the city center, but also in the eyes of culinary adventurers. Little cafés, traditional pubs and top-notch dining restaurants sprout in both distrincts like mushrooms after a rainy night. Patisserie Florentin (5 NW Circus Place, Stockbridge) is a great spot for a lazy breakfast or afternoon tea and cake. Entering the café you get to choose from all the delicious pastries behind the counter and and choose a table in the dimly lit seating area in the back. If you’re there for sweets try one of their mousses! 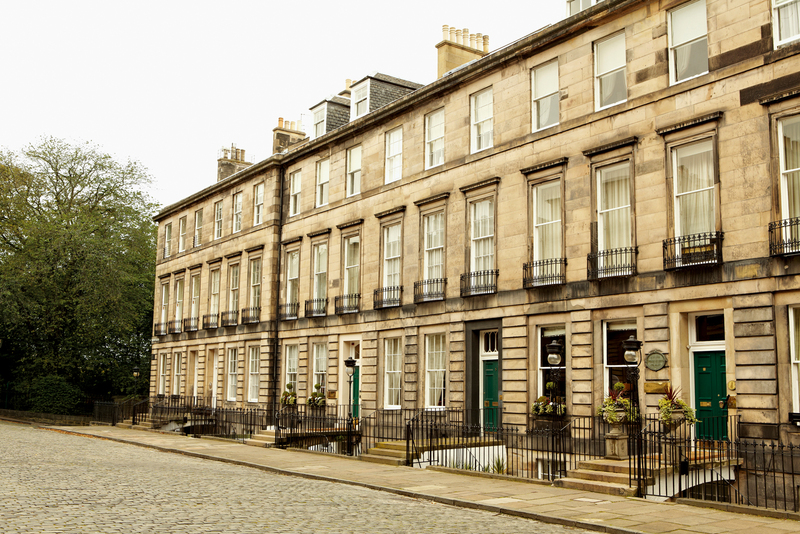 A little further down the road The Scran & Scallie (1 Comely Bank Place, Stockbridge) is a fine dining restaurant led by two Michelin-star winning chefs. Tables fill up quickly, so book ahead! Not in the mood for a full dinner? The place serves an excellent Scottish cheese platter and the barchefs mix fantastic cocktails – my alltime favourite: Gustav’s Go To with gin, cucumber, elderflower syrup, lemon pepper and egg white! 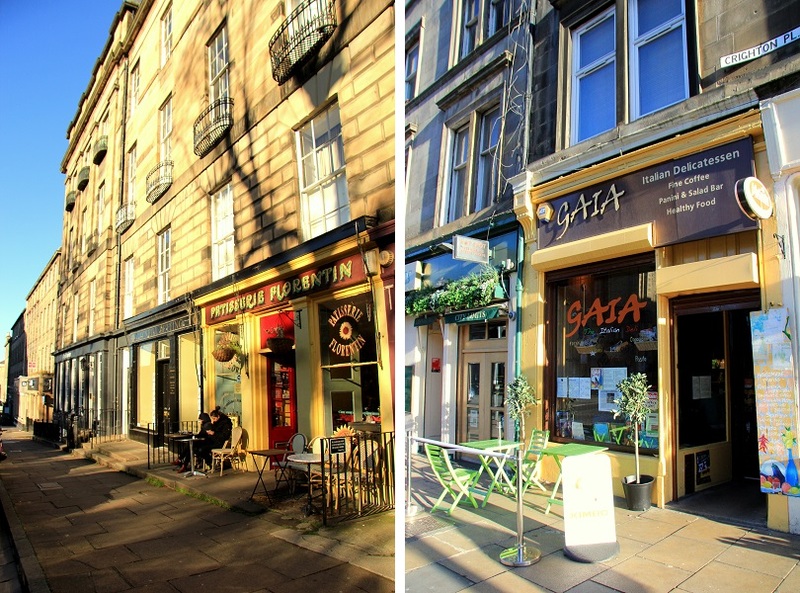 Gaia (32 Crighton Place, Leith Walk) is an Italian deli offering homemade bread, freshly made pasta and all kinds of cold cuts. This is the perfect spot for lunch – try one of the salads or the pasta of the day – or to take out a coffee on your way to Leith. Nestled along the popular Leith Shore area is The King’s Wark (36 Shore, Leith), a traditional pub that has been running since the 15th century. Come here to try some real Scottish delicacies, like Haggis or Mutton Pie. Maybe don’t research the exact ingredients of Haggis before you eat it – you don’t want to loose your appetite -, but let’s just say this Scottish national dish is nothing for vegetarians! However, it tastes delicious and is worth a try! 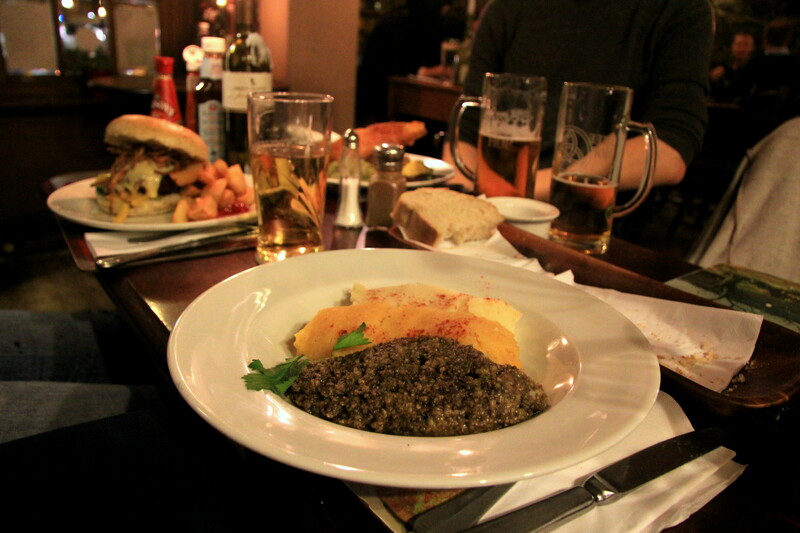 Order Haggis, Neeps & Tatties for the full experience of meat, mashed turnips and mashed potatoes. All of the mentioned are in convenient walking distance to the city center and offer a tasty and calm alternative far away from the busy flows of tourists. If you fancy a quick bite while visiting Old Town I can recommend Oink Hog Roast (34 Victoria Street) for pork snacks and Peppers Sandwich Bar (32 Lady Lawson Street) for sandwiches and wraps – both just a stone throw away from Grassmarket. 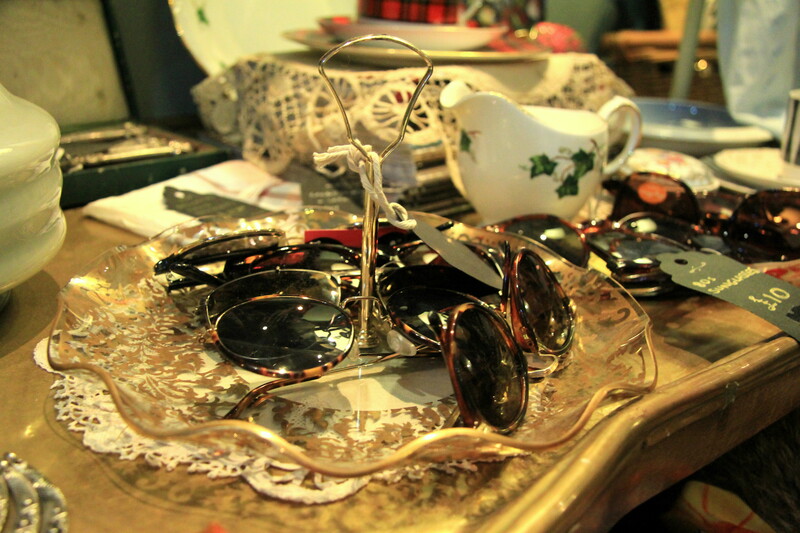 It is no big secret that the UK is paradise for everyone who loves vintage and second hand. Every road that even only comes close to the term “shopping street” is lined by various charity shops owned by organisation like British Heart Foundation or Scottish Cancer Research. 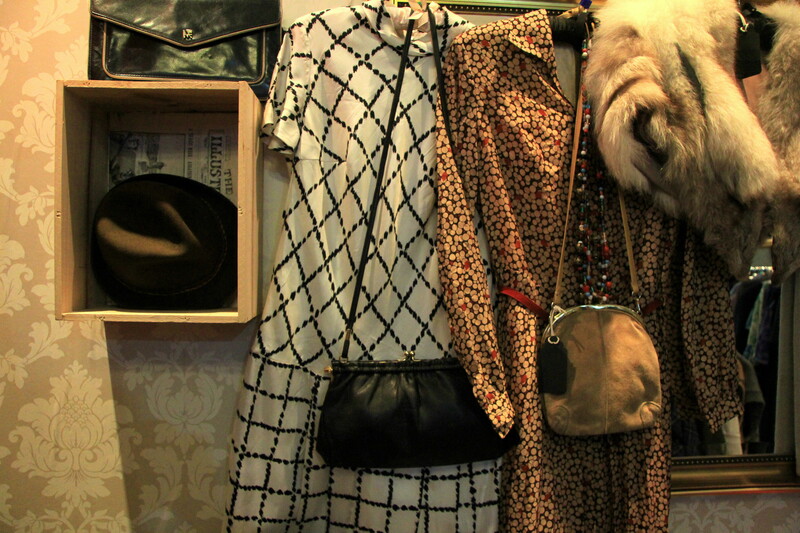 But also when it comes to original vintage fashion Edinburgh is nothing less than great. W. Armstrong’s & Son (85 Grassmarket, Old Town) is a conglomeration of vintage fashion and costumes for everyday and special occasions. 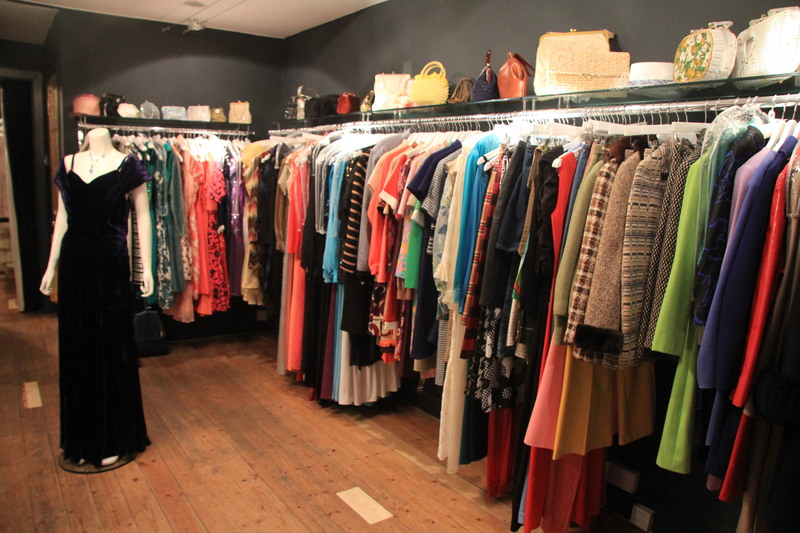 Clothes and accessoires are piled up from floor to ceiling mingling with decorative suitcases, mannequins and furniture. It is best to leave a trail of breadcrumbs while you dig your way deeper and deeper into the chaos – otherwise you might never find out! Just around the Corner lies The Frayed Hem (45 Cockburn Street, Old Town) another little store filled with fashion and accessoires from past decades. Herman Brown (151 W Port, Old Town) and Those Were The Days (26 St Stephen Street, Stockbridge) are two vintage stores with a very different, boutique-like concept. Their owners travel and browze the UK and world to handpick unique pieces for their shops – everything from 1920s evening gowns, over 1950s Christian Dior two-pieces to flashy 1980s sequin dresses. 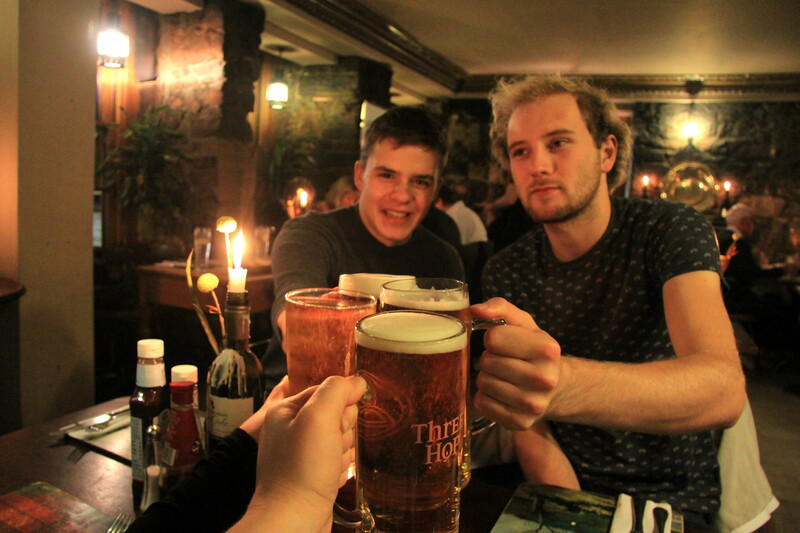 Most Scots will start their night out with pints and barfood at a pub. The touristy hotspot for traditional pubs is Grassmarket where several of them compete for everybody’s attention. 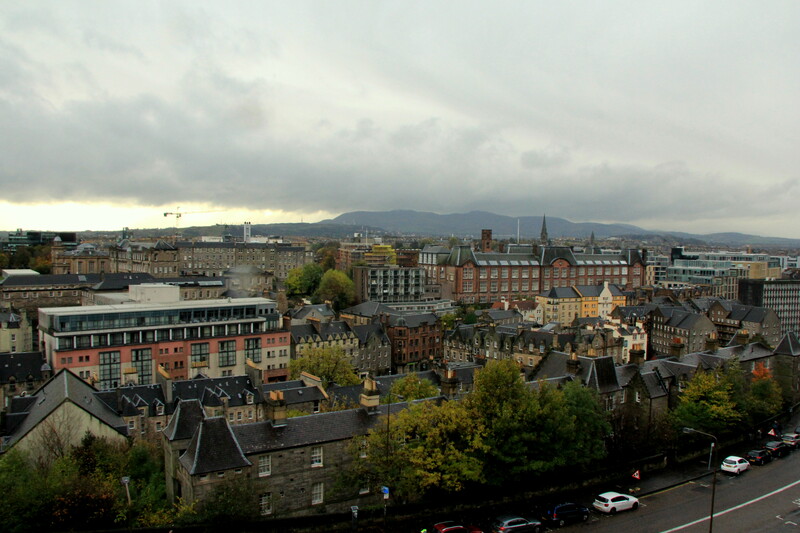 Those might be crowded and more expensive, but also in great proximity to Edinburgh’s nightlife in the city center. Be aware that nightlife starts early in the UK, as the general curfew for clubs is 3am – don’t be surprised to find Brits drinking heavily before 10pm! Going on to cocktails at Lebwoski’s (18 Morrison Street), a bar dedicated to the Dude’s favourite drink White Russian and all possible variations of it. The real party starts after midnight when the pubs close and the clubs open up. Our favourite pick would be The Cabaret Voltaire (36 Blair Street), an electronic club with underground atmosphere and cheap drinks in the heart of Old Town! A strenuous holiday weekend of sightseeing, eating and dancing often demands a time-out. Before heading home, why not get out of the city for an afternoon? Catch the train to North Berwick (takes about 35 minutes from central Waverley Station) and take a walk along the beach and cliffs northeast of town. Instead of leaving the city behind hike up Arthur’s Seat, a rocky summit towering over Edinburgh and offering great views over Old Town and the castle – the trip takes about 2,5 hours! 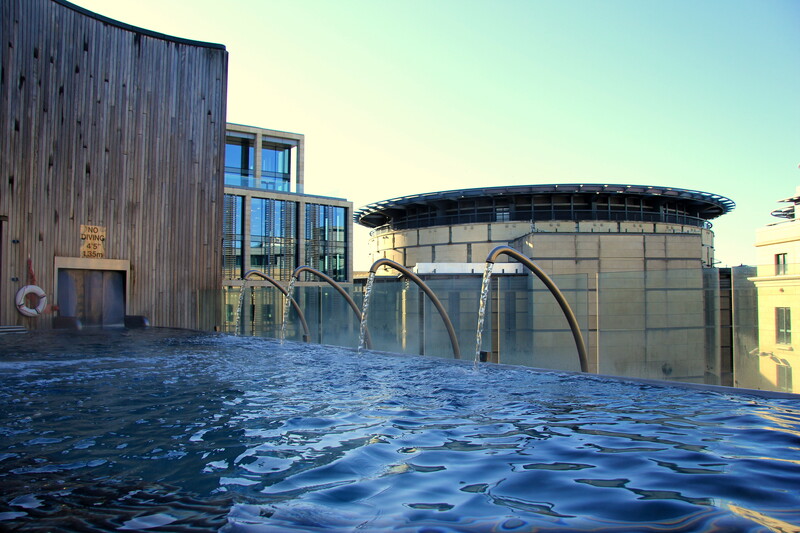 Unwinding at One Spa (8 Conference Square) is the perfect treat after an active day outside. “Escape at One” is a three hour package including access to the Spa’s fitness area, the swimming pool and the thermal suite. The latter features classic rock and bio saunas, a Turkish Hammam area, an aroma grotto, thermal couches to fall asleep on and to tropical rainforest/fog showers. 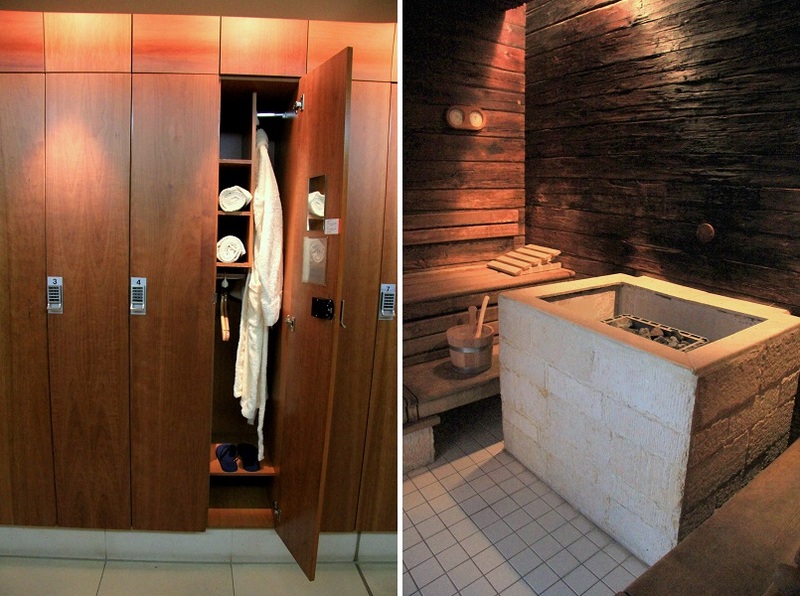 Enough to easily spend two hours rotating between hot or steamy rooms and refreshing interludes. The spa’s highlight is its rooftop outdoor pool area high above the ground. Facing south, the view unfortunately is not the best, but being kissed by the warm winter sun makes up for that! 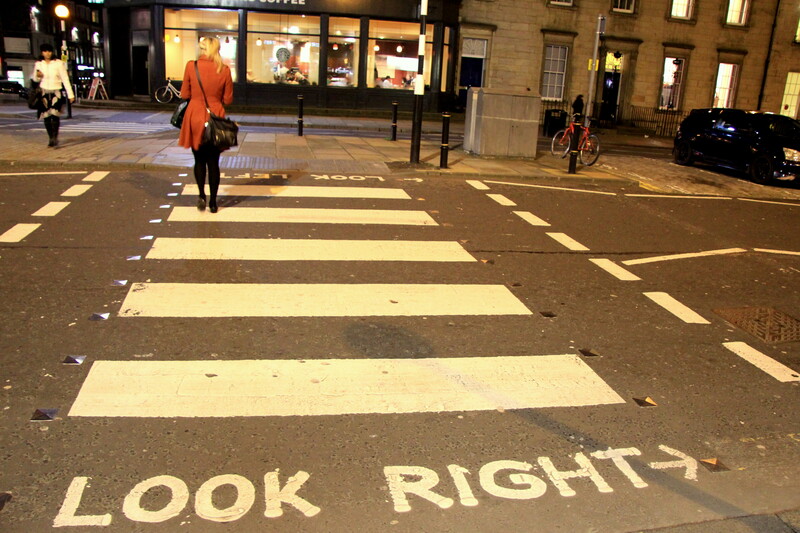 Edinburgh is a walkable city. Unless you are in a hurry and want to see everything in one day, save the money for bus or cab and better spend it on a good pint of Ale or a sparkling vintage dress. 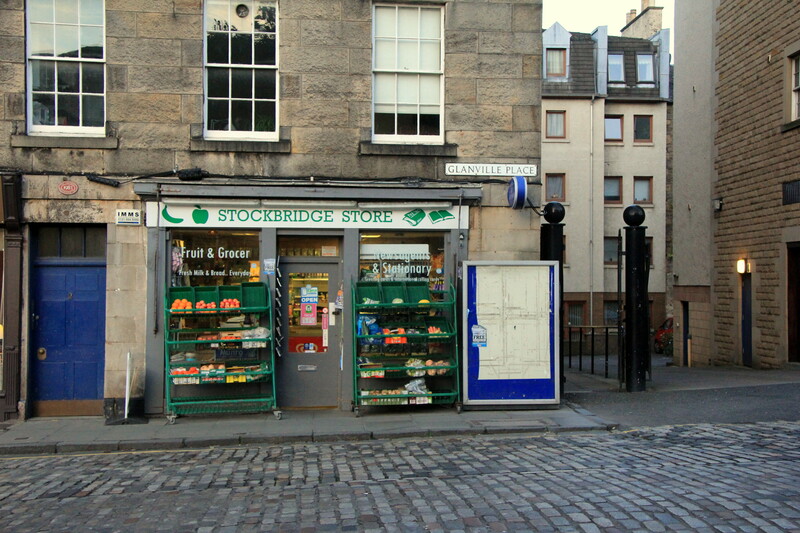 Walking from Nira Caledonia in Stockbridge to the Old Town takes about 20 minutes. To get from the City Center to Leith calculate comfy shoes and 40 minutes of your time. 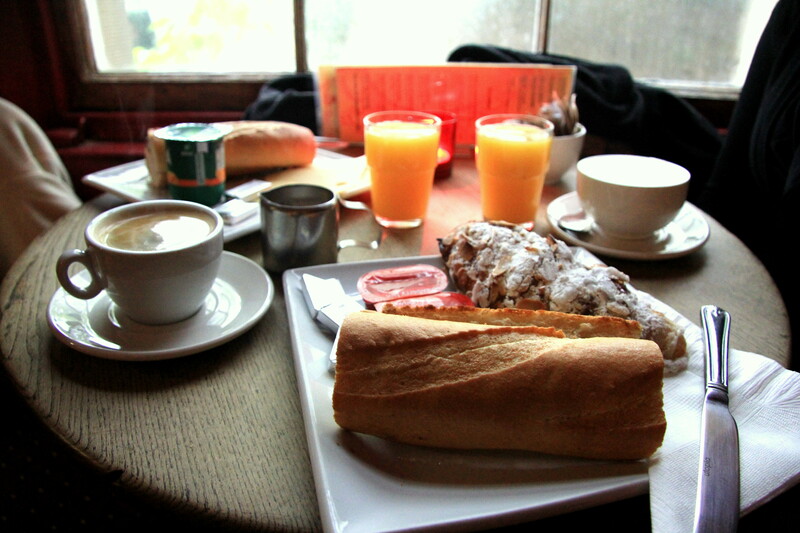 However it’s a nice stroll and there are plenty of cozy cafés on your way. Don’t forget, it is always April in Scotland: carry an umbrella with you. On our first day exploring rain and sunshine were on and off! If you want to enjoy your coffee in a café in the city center, e.g. The Elephant House in which Harry Potter author JK Rowling used to write in her early days, try to book a table ahead or expect a long waiting line! 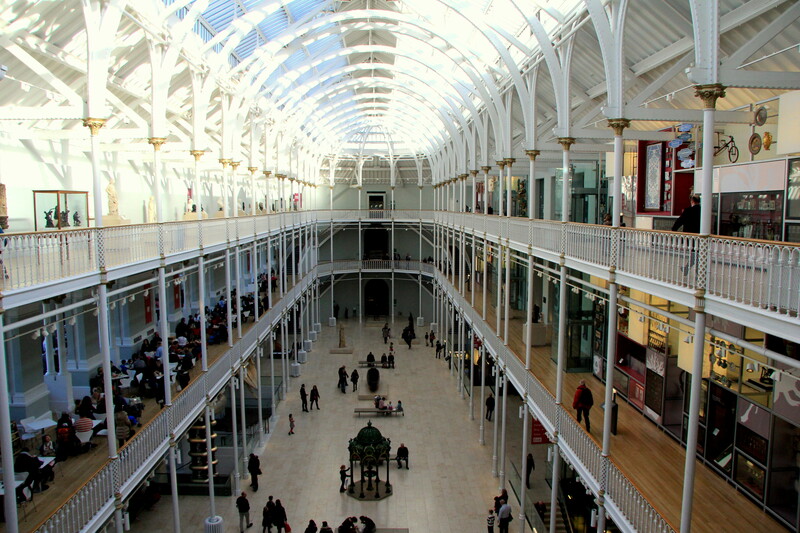 Edinburgh offers many free museums, e.g. the National Museum of Scotland, the Scottish National Gallery, the Museum of Edinburgh, the Royal Scottish Academy or the Scottish Nationa Gallery of Modern Art. Sandeman’s New Europe offers two free tours daily at 11am and 2pm. Starting point is Tron Kirk at Royal Mile and if you get to go with tour guide Kiel you get not only information but also entertainment! With all the things to do and see in Edinburgh I am not surprised that Scotland’s capital is the second most popular city among travellers in the UK. Thank you to Nira Caledonia and PRCo for organising this trip to their wonderful hotel, One Spa for giving me the chance to wind down and all the people supplying me with addresses and recommendations! All pictures by Kathi Kamleitner, except hotel exterior & restaurant interior. Fantastic guide! Thanks for sharing! 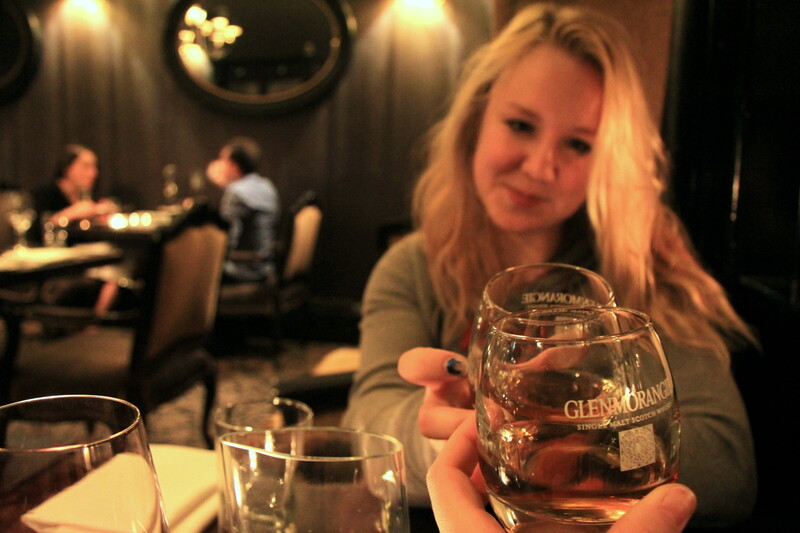 I just returned from Edinburgh last night and I second the recommendations in this post! I'm ready for my second trip to Edinburgh already. Sounds like you had a great time there! I hope to be back soon as well! We hope to be welcoming you back soon and wish you a happy Christmas season! HI Kathy, very nice review of your trip to Edinburgh. i love the vintage store which you have posted. I will be in Edinburgh in june, so i have to visit these stores. Maybe I will stay at Nira Caledonia. Thanks! I wish you a great stay in Edinburgh - it's lovely there! And Nira Caledonia is indeed perfectly situated to explore! I met you on the Santa Cruz and just wondered if you had written your article yet? I was one whose luggage went missing, had to pay $77 for it to be delivered to next port of call. Visited Peru, Bolivia, Chile, Argentina and Brazil, wonderful time. Great to hear that your trip was good - I'm not surprised! Such a shame with the luggage though - will the airline or travel insurance reimburse you at all?